The Freed Male Stirrup are RAD approved tights with an elasticized waistband. Made in the UK with a Cotton Lycra material. 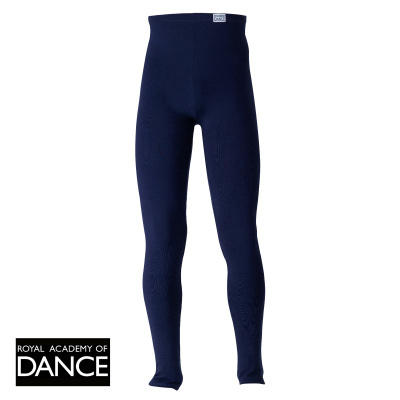 Includes Royal Academy of Dance logo on front waist. Approved by the RAD for Grades 1-5. Junior - Recommended for males between 66-77 pounds and 4'3"-4'10". Small - Recommended for males between 110-128 pounds and 5'2"-5'6". Medium - Recommended for males between 126-146 pounds and 5'5"-5'9". Large - Recommended for males between 143-163 pounds and 5'7"-5'11". X-Large - Recommended for males between 161-179 pounds and 5'9"-6'1".